Rhode island is a state that is home to a wide variety of landscapes. Although it is called the “Ocean State,” Rhode island features thousands of acres dedicated to wildlife refuges, more than 400 miles of coastline, 100 public and private beaches, and an abundance of public gardens. For the purpose of our fall foliage tours, we will focus on the northern and western areas which rise abruptly into an uphill dense woodland area. Northern Rhode Island is home to towering pines, lush hardwoods, sparkling rivers, abundant wildflowers and a variety of wildlife. All of these aspects make for the perfect location for a fall foliage tour! 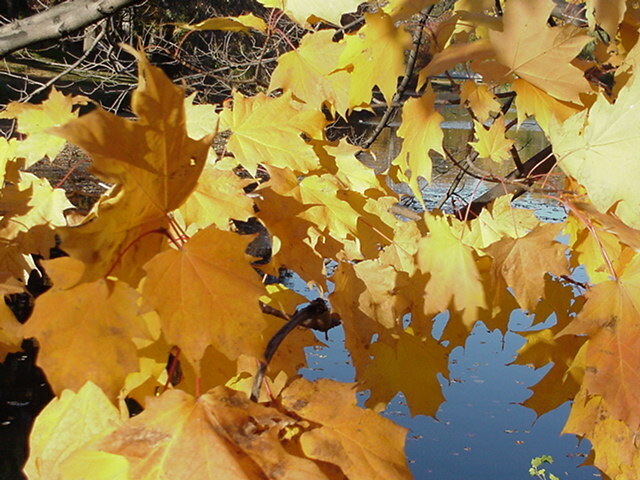 Rhode Island experiences a later foliage season, spreading from late september to mid November. Since Rhode Island is closer to sea level, and further south, the weather tends to be warmer thus delaying the peak foliage season to the third and forth week in October. When peak foliage season hits this small state, the coast lights up in an array of beautiful and vibrant colors. Arcadia covers a total land area of 13,817 acres, encompassing the towns of West Greenwich, Exeter, Hopkinton and Richmond. Well known for its forest cover, Arcadia features 64 percent deciduous forest and 36 percent evergreens. Arcadia is teeming with wildlife, some of which include cottontail rabbits, snowshoe hares, wild turkeys, bobwhites, ring-necked pheasants, and a variety of game animals and fish. This area makes for a perfect hiking adventure tour that not only shows of the beauty of the wildlife, but also offers an array of foliage colors throughout the forests. George Washington Management Area covers a total land area of 3,489 acres. This area is dominated by forest cover including deciduous forest (2569 acres) and evergreen forest (419 acres). This heavily wooded area makes for the perfect fall foliage tour. Along your tour keep a look out for native animals such as cottontail rabbits, snowshoe hares, grey squirrels, white-tailed deers, and furbearers.